Financing Available! 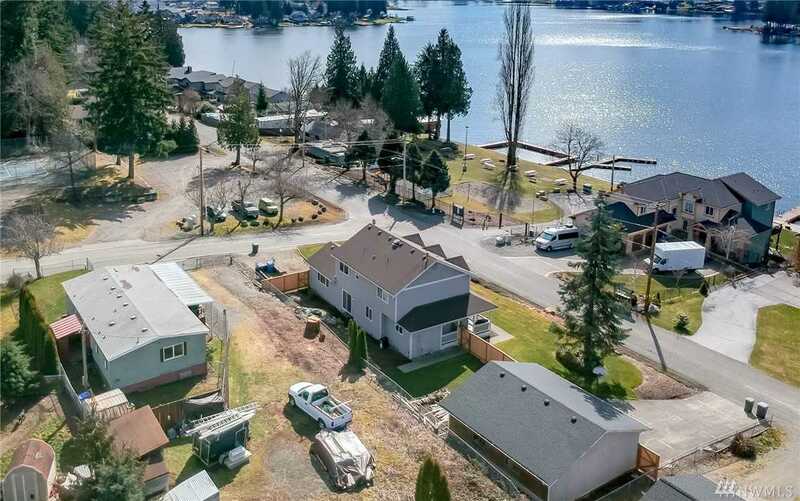 Enjoy unobstructed Lake Tapps views as this .275 acre lot sits across the street from the beautiful Inlet Island waterfront park w/clubhouse, tennis courts, swimming areas & boat launch! This .275 acre lot is in the prime location to build your dream house today! Water, sewer & electricity is on the property. Live in or remove the 1976 double wide mobile home and keep the fully fenced yard that also currently has 2 sheds on it. No septic, drain field or well to worry about! Directions: From Hwy 410 head North on 214th, turn Left onto 64th St E, turn Right onto 2017th Ave E, Turn Left onto 60th St E that turns into Cascade Dr E, home is on the right.